LA Photo: Operation Pothole Begins, Just Not In Koreatown. 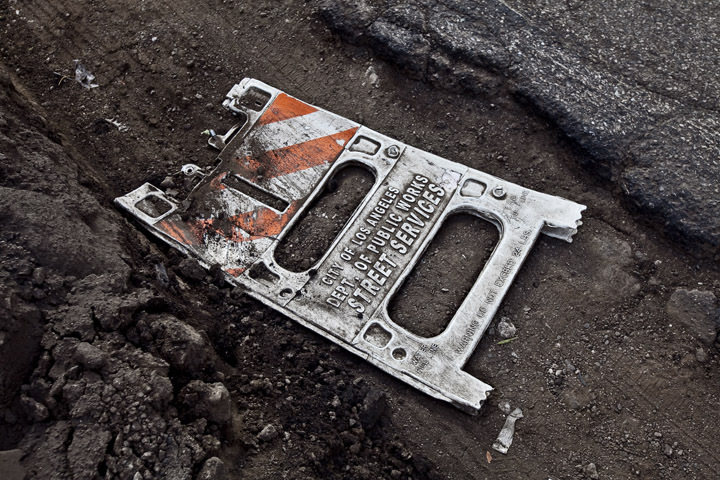 L.A. city road repair crews begin to fill up to 15,000 pothole this weekend in a effort dubbed "Operation Pothole." Over 8 tons of asphalt will be used to fill pot holes and other rain-related road damage. One pothole on Western Ave. near 8th Street has grown so large it has surpassed pothole status, the damage has been growing for over two months. 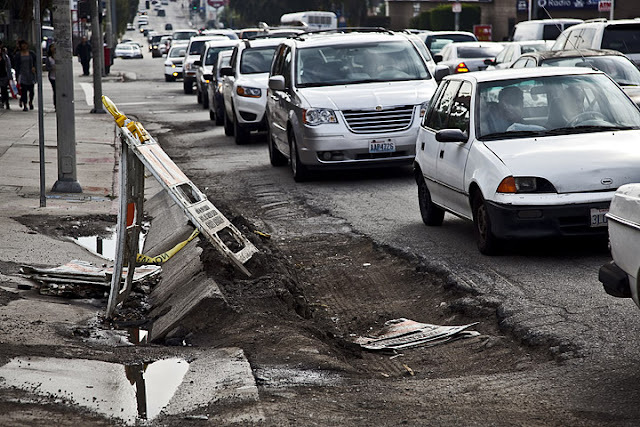 Western Ave. in L.A.'s Koreatown now has the largest and most numerous potholes, beginning at the I10 Frwy. to Beverly Blvd. A street barrier eating pothole on Western Ave.
A future tourist attraction, the Grand Canyon of Koreatown on Western Ave. near 8th Street.